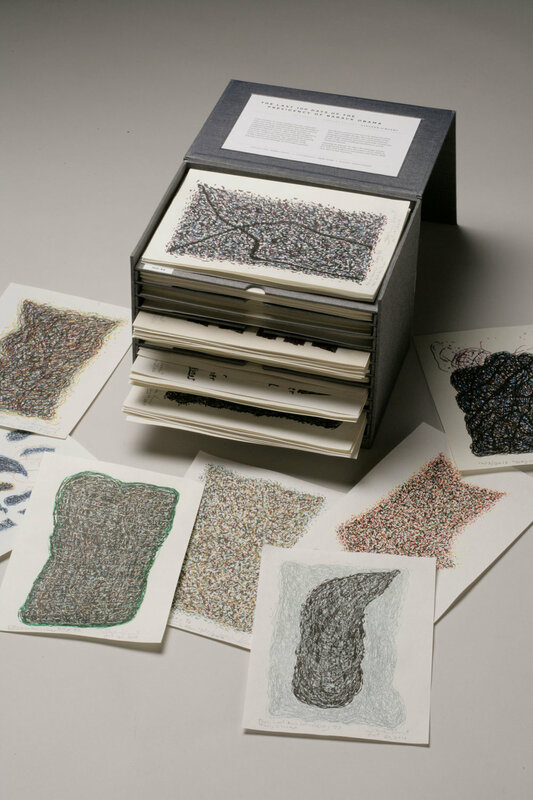 Contents: 100 ink drawings in color; the box includes 11 shelves, ten for 10 drawings each; the bottom shelf includes one signed copy of the softbound gallery catalog edition. Gallery Catalog: 206 pages; 7.5 x 9.75”, in an edition limited to 50 copies; each printed volume includes 100 drawings with facing journal entries. 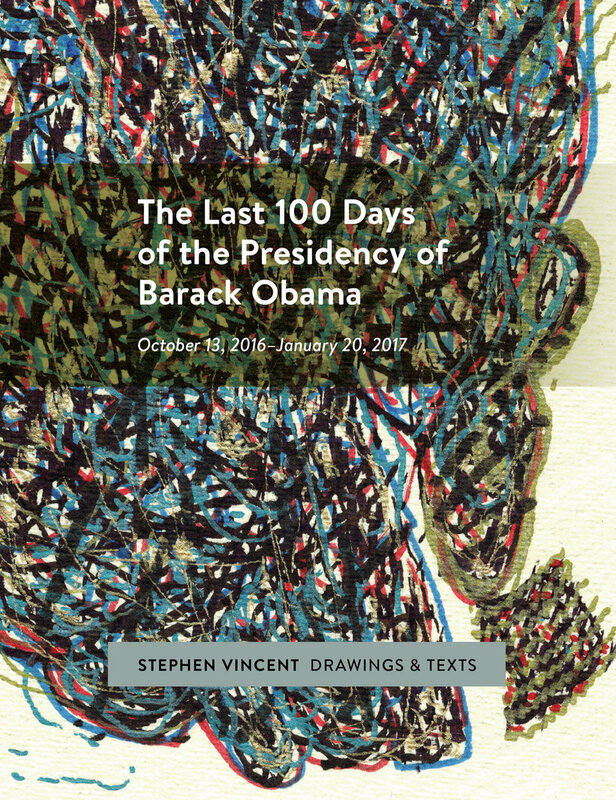 Just short of eight years from The First 100 Days of Obama, the artist and writer again made a haptic drawing and journal entry for each day; however, this time the work would be in color inks. Initially, pens and computer keyboard in hand, Vincent set out on a journey that included a five-week 10,000 mile circular back and forth Amtrak crossing of the continent during which he immersed himself into historical sites which, among many, included Walden Pond, Gettysburg, Washington, D.C, Atlanta, and New Orleans. Off the train the work goes on — in drawings that also incorporate words — to imaginatively register the pulse of the Republic as the country moved through its contentious November Presidential election and into a radically transformed political landscape to be defined by President Elect Donald Trump. The finished art, as with the first project, is gathered into the shelves of its own box. The separate gallery catalog of drawings and journal entries — on the bottom shelf — offer a visual and literary mosaic; its pages record the dramatic personal and public vicissitudes of one of the most troubling transitions in recent American history. Opening on January 20, 2017, the drawings, catalog and box were exhibited at 871 Fine Arts Gallery in association with Steven Wolf Fine Arts in San Francisco.